Welcome back to another week of Campfire Chat. I love this section and it’s so nice getting to know Scout Volunteers from around the world. 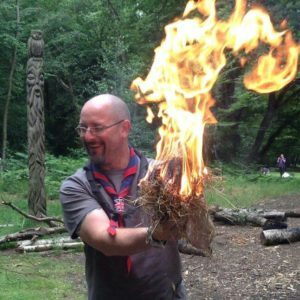 If you haven’t joined in with Campfire Chat before it’s a weekly online interview celebrating Scouting. From Leaders, to County Commissioners to volunteers the other side of the world, every Monday we share a few minutes to discuss Scouts! 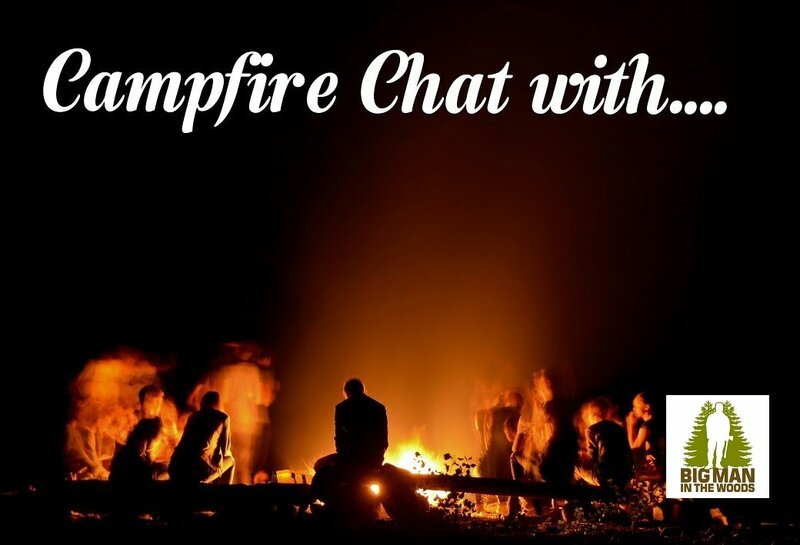 So, if you would like to take part in next week’s Campfire Chat, drop me an email. Hi I am a member of Bushscout which is a national SASU that members from all walks of life that come together to teach our young members and their leaders cool stuff that they can use on camp 🙂 I have been back in Scouts for nearly ten years now, being Akela for 7 of those years was the most rewarding job I have ever had but I love what I do now. 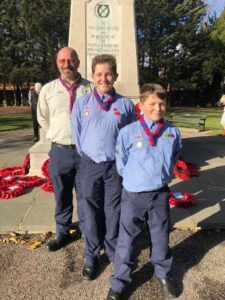 Were you in the scouting movement yourself when you were a child? Yes, and loved it. I was so excited when my oldest turned six so I could get back involved. The Beaver unit that he went to said they were full, and we should come back in about 6 months until I said that I wanted to join and become a leader… Well, the rest in history. I don’t know… I have had many tents and slept on the floor for many nights but my bones are old now, so I sleep on a self-inflating mattress that is supposed to be 10cm thick but is actually 5cm. I love to hammock, but I have been converting my Land Rover recently into some kind of “go anywhere camper”. I’m still sleeping in a tent that straps to the side of the car so technically I suppose I’m a Camper with the comfort of the car???? I don’t know. You tell me Mark? Follow your heart. There will be many Scouters that you will meet on your travels that will tell you that you are “doing it wrong” or they criticise what you are doing and the direction that you are going before they have even met you. 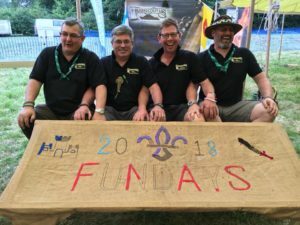 Find some likeminded scouters who are on the same journey as you, the ones who are doing it for the kids not for personal gain. The ones who laugh at you, to your face, when you fall in a puddle but then help you up. You may have to look a bit harder than you would have thought but when you find them your smile will be a lot bigger. Camping haha. it’s true, I can’t think of anything that relaxes me more then boiling up the kettle over an open fire, sitting back and watching the world go by. It could be anywhere, in the middle of a jamboree or with a few mates in the woods, fantastic. I love Thriftwood, its not far from me for one but it has a certain magic. 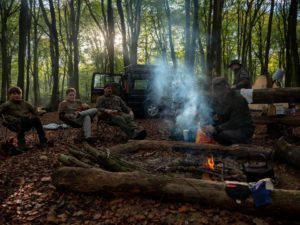 you can run all sorts of camps there right from a full blown County Camp to a small survival camp. The staff there are always great fun and nothing is ever too much trouble. Obviously if you go into the office ranting and raving you shouldn’t expect the answers that you desire but treat them as you want to be treated and all will be well in the end. I really don’t know Mark, I love food so whoever I was with would have to a really conversationalist to get my attention away from what’s on my plate haha. Thank you to Steve for agreeing to be interviewed by me.